Young people benefit enormously from the experience of getting away from home and serving others. SSP has provided safe and challenging youth service projects for individuals and church groups for over four decades. Find out how you can grow your youth group with a service experience this summer. 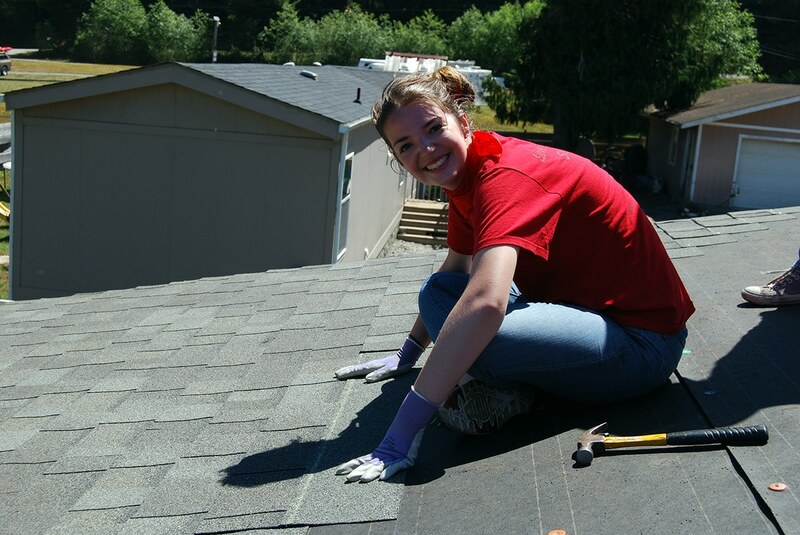 A high school youth in Smith River, CA, repairing a roof. 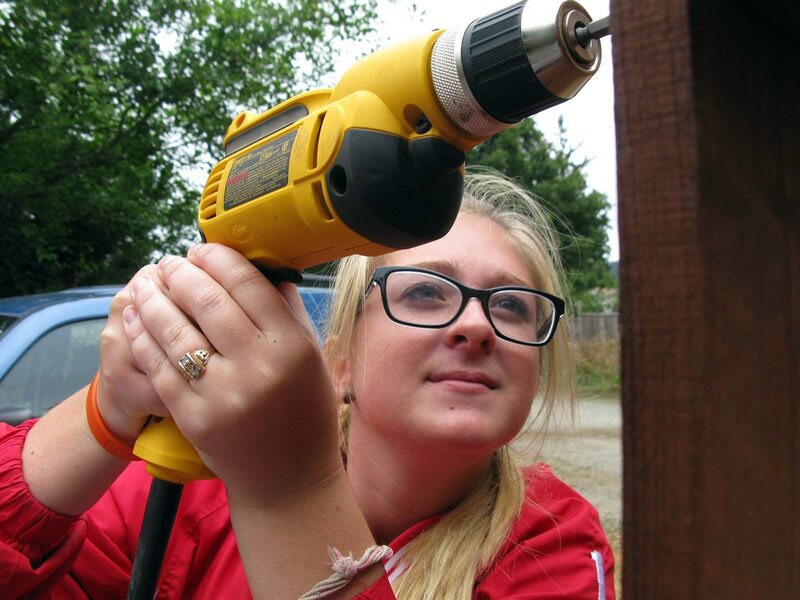 All volunteers are trained in safety before given any power tools. 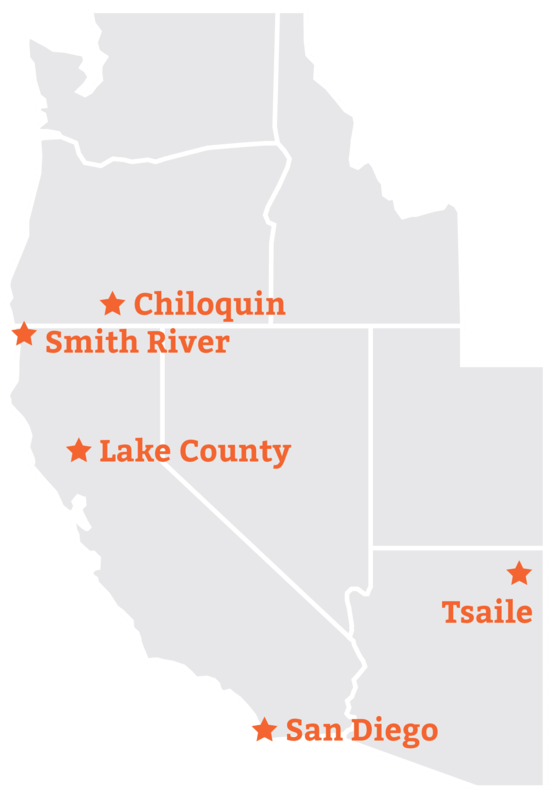 Sierra Service Project, or SSP, is an interdenominational Christian nonprofit organization that provides service opportunities in the Western United States to middle school, high school, combined youth groups and intergenerational teams during the summer and school year. 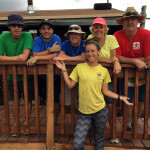 Even individual volunteers not connected with a group are invited to serve! SSP affirms and welcomes anyone who is interested in its programs, inviting youth into a closer relationship with God and one another through the transformative power of community-centered service. At SSP, we strive to make each group’s experience rich in quality. 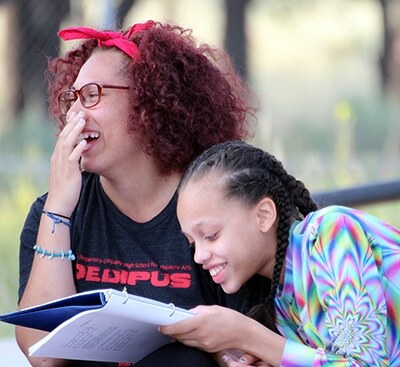 We take care of most of the planning and logistics challenges, allowing each group’s adult leaders to focus on their relationships with their youth. Explore this page to learn more about what a trip with SSP entails, and let us know if you have any questions at (916) 488-6441 or by emailing Veronica Russell, our Director of Volunteers and Outreach. The SSP experience includes a tradition of games, songs, and lasting friendships. 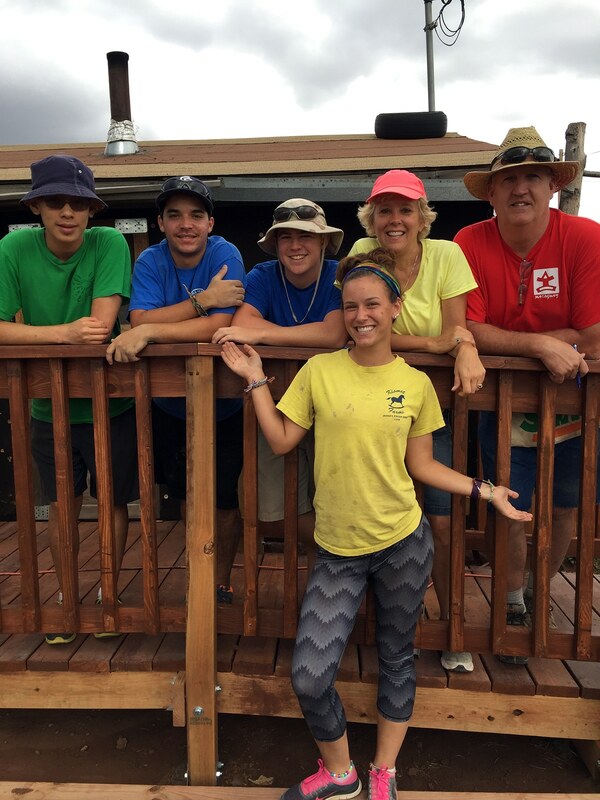 SSP has over 40 years of youth service, leadership, and home repair knowledge, is dedicated to physical and emotional safety, and provides nutritious meals and spiritual support to all volunteers. 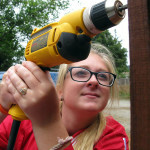 Youth take on complex projects, learn how to safely use power tools, and cultivate teamwork and problem-solving skills. Working with others to strengthen communities different from their own allows youth to experience new cultures in an authentic way. The cost for a group to attend a week-long session ranges from $365 to $415 per person, depending upon the type of session and the location. SSP believes that all youth, regardless of their family’s financial circumstances, should benefit from the experience of serving others. Because of this, we have a significant scholarship program. What if I’m not part of a group? High school youth can also register as an individual. What does a typical day and week look like at SSP? SSP has a team member dedicated to working with group leaders to ensure that they have a smooth, meaningful service experience. Veronica Russell, our Director of Volunteers and Outreach, is here to answer your questions about our programs and help your group prepare for their SSP experience. Call Veronica with your questions at (916) 488-6441. If your group is new to SSP, create a login request to so that you can register your group for SSP's programs. Priority registration is open October 1-31! SSP has one primary contact with your group. To update your SSP liaison, email Veronica your liaison's email, first and last name, phone number, address, position with group, as well as the group attending SSP with.